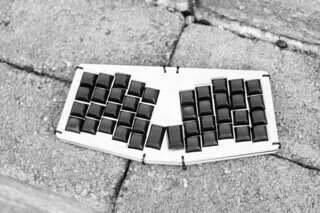 The cherry switch is not connected to anything, so thats not usable for typing. Or, maybe morse... *click* *click* *click*. 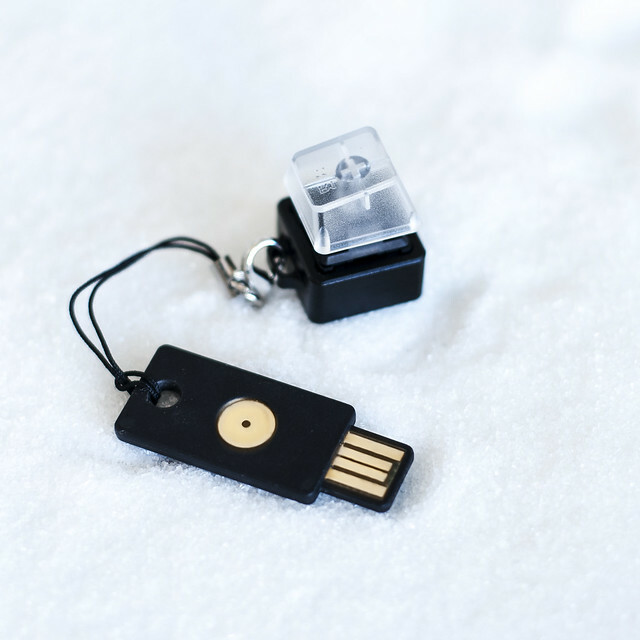 The flat key is a YubiKey 4 and this is a great little gadget. I'm using it for 2FA with LastPass. It's normally on my regular keychain, and takes a lot of beating. Very robust hardware.